The DANGLER - REEL 'EM IN! 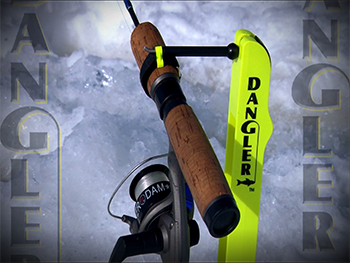 The ability to detect the most sensitive bites and react quickly for ice-fishing success with the tip-down action of the Dangler Rod Holder. 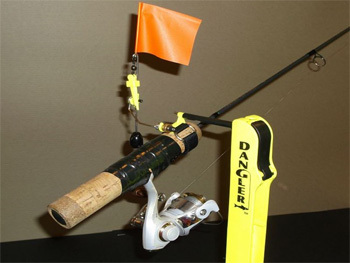 The Dangler Trip-Up allows you to quickly convert your tip-down rod and reel combination to an open spool flag detection system. 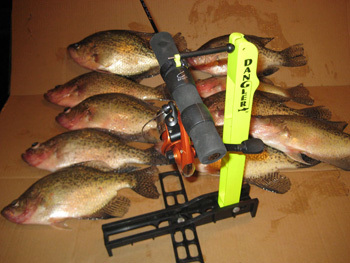 Purchase additional straps for all your rods to allow for quick change of rods when using the Dangler Rod Holder. 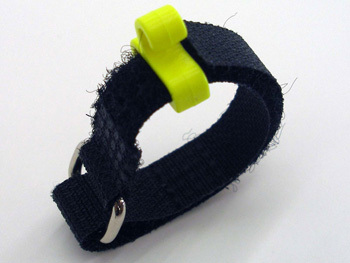 Click here to see our latest Dangler product videos! Get out on the Ice & Best of Luck Fishing!